James Lubben is Professor Emeritus at UCLA where he taught for 20 years and was Associate Dean and Department Chair. He is also Professor Emeritus at Boston College where he was the Louise McMahon Ahearn Endowed Professor in Social Work for 15 years. During his 35 years in the academy, Dr. Lubben mentored over 200 doctoral students and junior faculty. He served on over 50 doctoral dissertation committees and secured dissertation research funding for over 150 doctoral students. He has published over 125 peer reviewed articles and chapters and edited 7 books. He has been a principal investigator or collaborator on over $35 million (direct costs) of research and training grants. The primary aim of his research examines social isolation as a behavioral health risk among older populations. 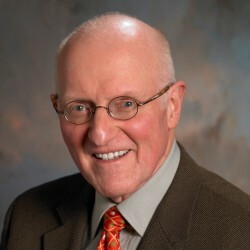 To carry out this research, he developed the Lubben Social Network Scale (LSNS), an abbreviated measure designed for both research and clinical use among older populations. The LSNS has been translated into many languages and employed in studies throughout the world. Scores on the LSNS have been associated with a wide array of health indicators including mortality, morbidity, psychological distress and loneliness, cognitive impairment, and health care use. Dr. Lubben served many years as a consultant to the World Health Organization regarding health and welfare systems development for aging societies. He also served as a Fulbright Senior Specialist to Chile. Dr. Lubben served four terms (12 years) on the congressionally mandated Gerontology and Geriatrics Advisory Committee for the Secretary of the U.S. Department of Veterans Affairs. He was elected to three different national boards for social work education: Society for Social Work and Research, Council on Social Work Education, and the Group to Advance Doctoral Education. He also served two terms (6 years) on the Executive Committee for the Grand Challenges in Social Work Initiative sponsored by the American Academy of Social Work and Social Welfare. Dr. Lubben is a Fellow in the American Academy of Social Work and Social Welfare and also a Fellow of the Gerontological Society of America. Chi, I., Chappell, N. L., & Lubben, J. (2001). Elderly Chinese in Pacific Rim Countries – Social Support and Integration. Hong Kong: Hong Kong University Press. Lubben, JE, Blozik, E, Gillmann, G, Iliffe, S, Kruse, WR, Beck, JC, Stuck, AE. (2006). Performance of an Abbreviated Version of the Lubben Social Network Scale among Three European Community-Dwelling Older Adult Populations. The Gerontologist, 46(4):503–513. Lubben, JE. (2009). Cultivating a New Generation of Scholars: The Hartford Doctoral Fellows Program. In NR Hooyman (Ed. ), Transforming Social Work Education: The First Decade of the Hartford Geriatric Social Work Initiative. (pp. 79-97). Alexandria, VA: Council on Social Work Education Press. Lubben, J. (2017). Addressing social isolation as a potent killer! Public Policy & Aging Report. 27(4):136-138. Fong, R., Lubben, J. & R. Barth, R.P. (Eds.). (2018). Grand Challenges for social work and society: Social progress powered by science. New York and Washington, DC: Oxford University Press. Vilar-Compte, M; Vargas-Bustamante, A & Lubben, J. (2018). Validation study of the abbreviated version of the Lubben Social Network Scale Spanish translation among Mexican and Mexican-American older adults. Journal of Cross-Cultural Gerontology. 33:83-99.